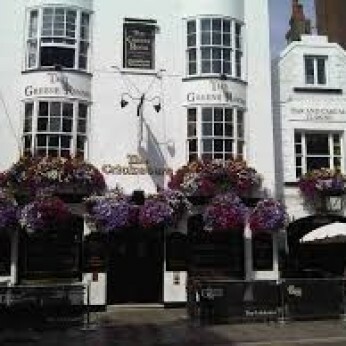 The Cricketers is steeped in history due to it being one of the oldest pubs in Brighton. There has been a pub on this site since 1547 and the original Landlord, one Derrick Carver was burnt as a martyr for his religious beliefs. One of our most famous "guests" in the past has been "Jack the Ripper" - and in The Greene Room bar, (upstairs), you can spend some time following the story of his origins and how he planned his murders from this very spot. This is also the famous pub immortalised by Graham Greene in his classic novel "Brighton Rock". at the Cricketers we offer a vast range of Real Ales which we are pleased to keep to Cask Marque standard, as well as a number of popular lagers & ciders. Our wine list is pretty extensive by pub standards, and has been crafted to compliment the food menu whilst offering something for those just in for a drink. For the non drinking clients we have a large range of soft drinks and we also offer fairtrade coffee from our local supplier Roasted Coffee Co.